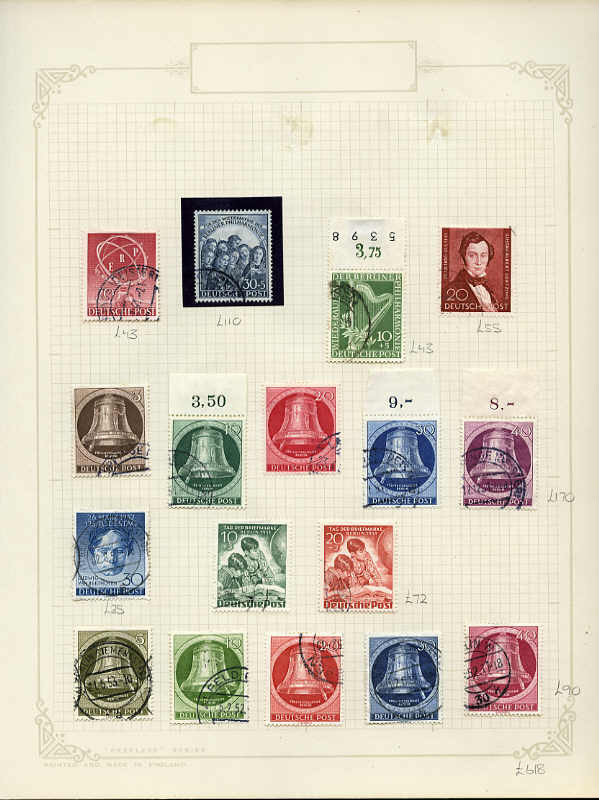 Accumulation of many hundreds of used stamps from 1858 to modern in KA/BE and Chinese stockbooks. Considerable duplication of earlier issues. Collection of hundreds of mint and used stamps from China, Hong Kong, Japan, Malaysia and Singapore in large good quality stockbook. 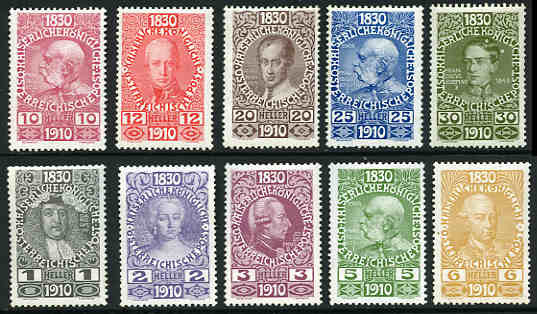 Accumulation of 1,000 higher value used stamps on and off paper from a range of countries and periods including many fine used. Good variety with some duplication. Collection of hundreds of mainly used stamps from China, Japan and Indonesia in 2 stockbooks and on Hagner sheets. 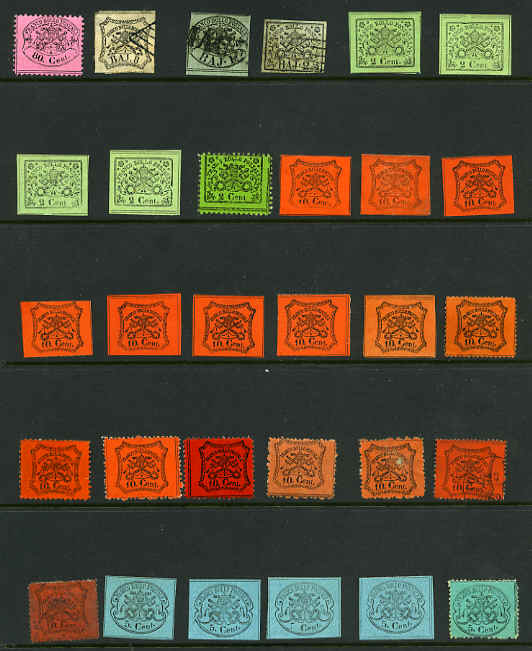 Accumulation of 1,392 used stamps from 1850 to 1906, with main strength from 1867 onwards in KEK stockbook. 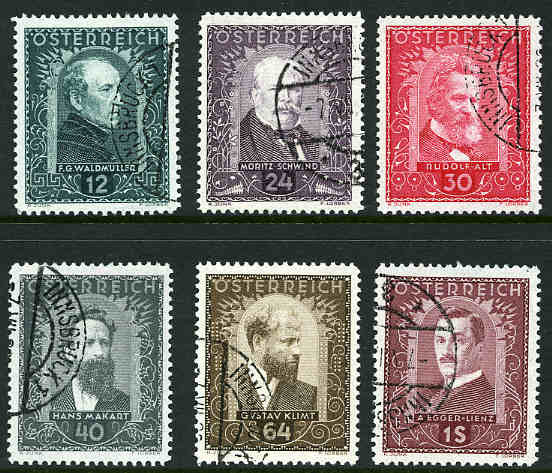 Interesting lot for the specialist, with stamps unchecked for the numerous perforation variations. Considerable duplication. 2006 Simplified catalogue value $1,575.00. 1908-13 Emperor's Accession mixed papers set mint hinged. 5k and 10k values MLH. Sg 189-206. Catalogue Value $355.00. 1910 80th Birthday of Francis Joseph I set MLH. 25h and 30h values with minor faults, otherwise fine condition. Sg 223-239. Catalogue Value $840.00. 1910 2k and 10k 80th Birthday of Francis Joseph I FU. 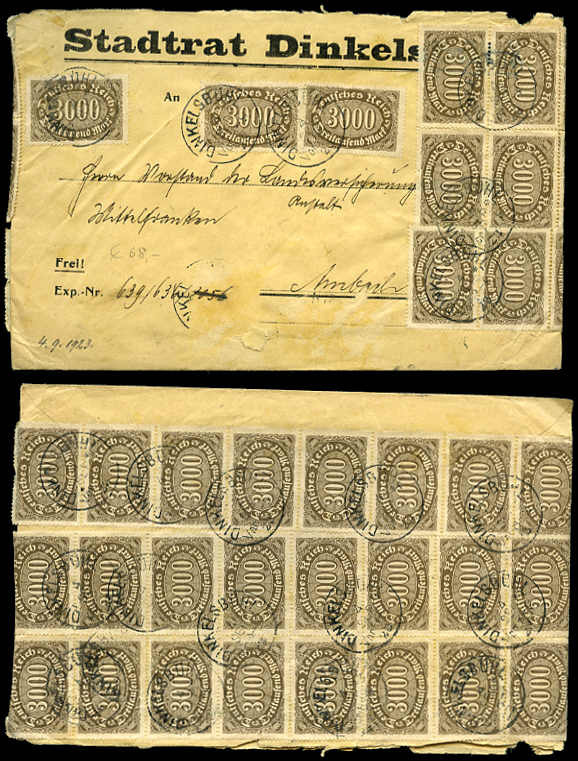 10k value has full perfs, but black postmark on perfs at lower left, give appearance in the photograph of having short perfs. Sg 237 and 239. Catalogue Value $1,030.00. 1922-24 Air, 1923 Artists Charity Fund, 1924 Artists Charity Fund, 1928 Republic and War Orphans and Invalid Children Fund, 1930 Anti-tuberculosis Fund and 1931 Austrian Writers and Youth Unemployment Fund sets FU. Sg 546-567, 642-645, 660-665 and 672-677. Catalogue Value $743.00. 1931 Rotarian Congress set MLH. Sg 666-671. Catalogue Value $294.00. 1932 Austrian Painters set FU. Sg 693-698. Catalogue Value $398.00. 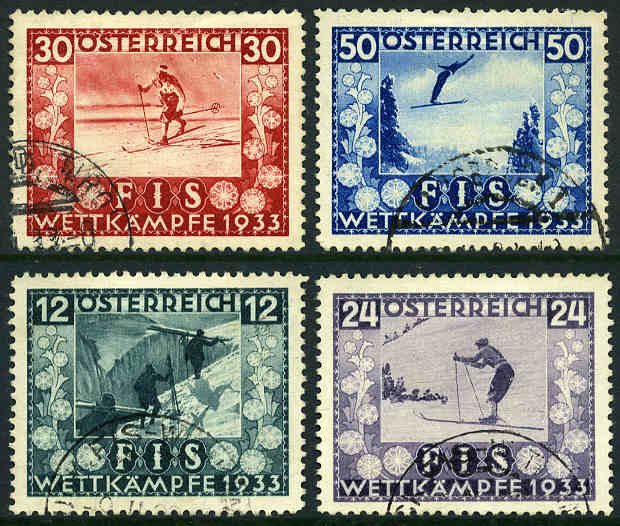 1933 International Ski Championship Fund set FU. Sg 699-702. Catalogue Value $471.00. 1933 50g (+50g) International Philatelic Exhibition on ordinary wove paper MVLH and well centered. Sg 703. Catalogue Value $230.00. 1933 50g (+50g) International Philatelic Exhibition on Granite paper MVLH and well centered. Sg 704. Catalogue Value $632.00. 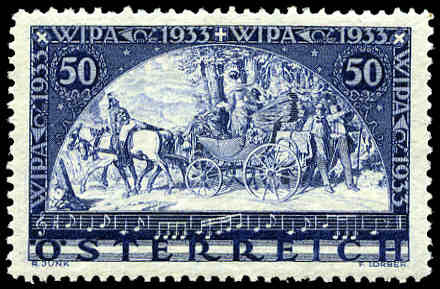 1933 Relief of Vienna and Pan-German Catholic Congress set FU. Sg 706-711. Catalogue Value $441.00. Complete mint collection from 1945 New National Arms Definitive set to 1957-68 Definitive set in Borek Hingeless album. Excludes 1985 Postage Due issues, otherwise complete including 1950-53 Airmail set. Some, generally minor faults and few pages missing from album. Catalogue Value $2,200.00. 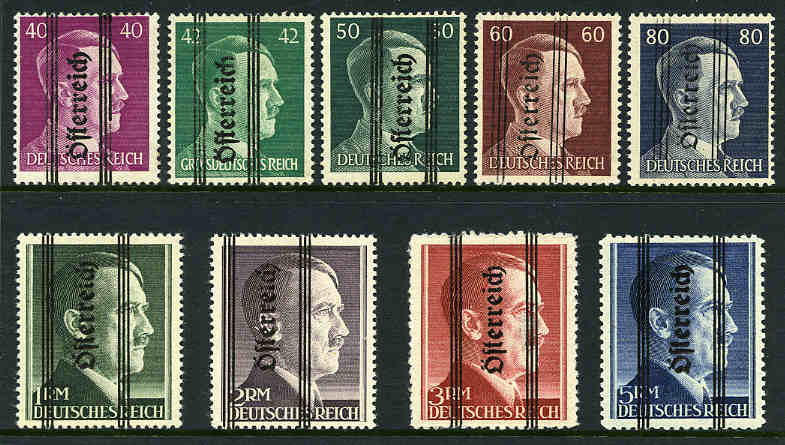 1945 Hitler stamps of Germany O/P Osterreich set of 23 MLH. 1rm and 2rm perf 14 and 3rm and 5rm perf 12½ with 18½mm long O/P. Sg 830-848, 849b, 850b, 851 and 852. Offered as is. Catalogue Value $1,320.00. 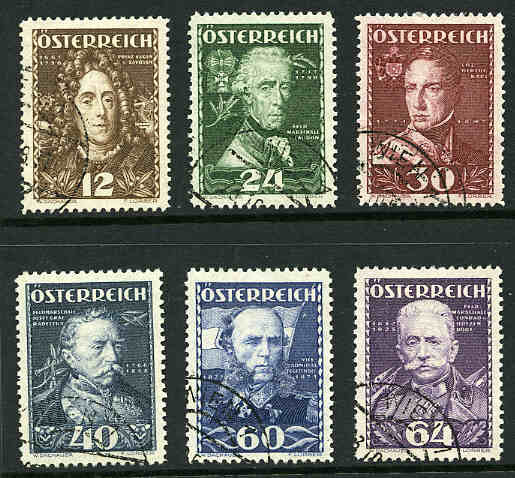 1945 Hitler stamps of Germany O/P Osterreich set of 23 FU with Graz C.D.S. postmarks. 1rm perf 14 and 2rm perf 12½ with 18½mm long O/P and 3rm and 5rm with thinner 16¼mm long O/P. Sg 830-848, 849b, 850, 855 and 856. Offered as is. Catalogue Value $1,875.00. 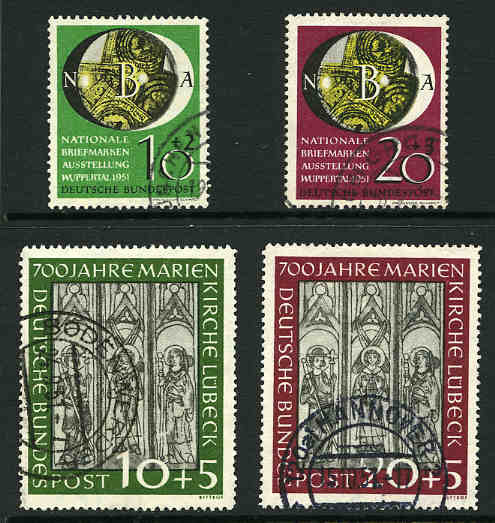 Comprehensive mint and used collection from 1850 to 2005 including handy range of early issues, numerous sets and some duplication in 4 large Schaubek or Lighthouse stockbooks. Noted 1908 10k Francis Joseph I FU (3), 1922 Musicians sets MLH and FU, 1922 Musicians Perf 11½ set FU, 1923 Artists set MLH, 1924 Artist set MLH, 1925 New Currency set MLH, 1925 2s, 5s & 10s Postage Due mint, 1925-30 Air set FU, 1928 War Orphans and Invalid Children Fund set FU, 1929-31 Views set MLH, 1930 Anti-tuberculosis set MLH, 1932 Views set MLH, 1932 Austrian Painters set MUH, 1933 Ski Championship Fund MLH, 1933 Winter Relief Fund set MLH, 1934-36 Definitive sets MLH and FU, 1934 Austrian Architects set MLH, 1935 Air set MLH and FU set excluding 40g value, 1935 Winter Relief Fund sets MLH and FU, 1936 Ski Championship Fund set FU, 1936 10s Assassination of Dr Dollfuss FU on piece (Faded), 1936 Austrian Inventors set FU, 1937 Austrian Doctors set FU, 1948 Creative Artists set FU, 1950-53 Air set FU and largely complete both MUH and FU from 1958 to 2002. Some early issues with faults, but generally of a minor nature. Very high catalogue value. Collection of hundreds of mainly used stamps from early to modern including some Railway and Belgium Congo stamps in stockbook. 1993 Catalogue Value over $1,650.00. Accumulation of many hundreds of mostly used stamps from 1850 to 1967 in Lighthouse stockbook and on Hagner sheets. Considerable duplication. Collection of MUH stamps from 1972 to 1986 including numerous sets and few miniature sheets in Lighthouse stockbook. Catalogue Value $924.00. 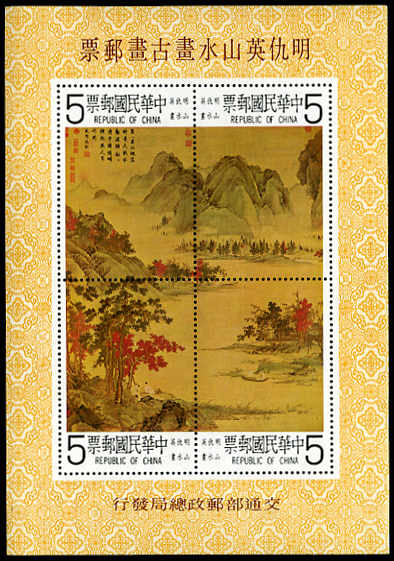 1981 Beauties of Jinling M/S (Sg MS 3158) and Taiwan 1979 Sung Dynasty Painting M/S with light gum toning (Sg MS1,248) and 1980 Ch'iu Ying M/S (Sg MS1,248) MUH. Also Hong Kong 1992 $5.00 to $50.00 Definitive, plus a range of lower values MUH. Catalogue Value $279.00. Small selection of mint and used stamps in mixed condition including tatty 1908 Registered cover from Chefoo to Shanghai and some Chefoo locals. Collection of many hundreds of mint and used stamps, miniature sheets and sheetlets from 1918 to modern in 2 Hagner albums and on bundle of album leaves including some useful items. 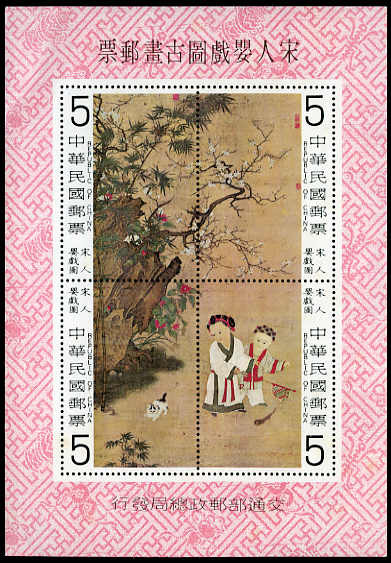 Collection of many hundreds of fine used and CTO stamps from a range of periods including many sets in large Chinese stockbook. Accumulation of many thousands of used stamps from a range of periods sorted into packets. Heavy duplication. Collection of hundreds of mostly used stamps from 1854 to 1979 including a good range of earlier issues and many sets on album leaves. Odd fault. Collection of hundreds of MUH and fine used stamps from 1949 to 1984 including handy items and numerous sets, plus range of Allied Occupation Russian Zone issues in Lindner stockbook. Collection of hundreds of MLH and fine used stamps from 1949 to 1973 including 1949 Postal Workers set MLH and FU, 1950 Bach set MLH, 1950 Academy of Sciences set FU, 1951 Leipzig Spring Fair set FU, 1951 Visit of Polish President set MLH (50pf MUH), 1951 Youth and Students Festival set MLH, plus handy range of Allied Occupation French and Russian Zone issues in loose leaf album. Very high catalogue value. Collection of mint and used stamps from 1949 to 1961 on Davo album leaves. Catalogue Value $1,225.00. 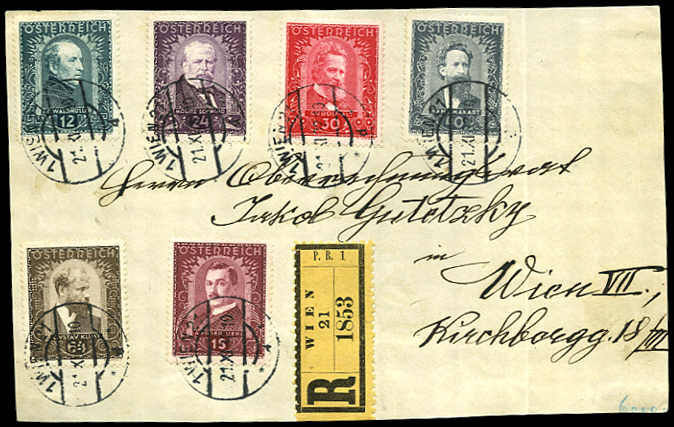 Accumulation of 100 commercial covers from East Germany and 105 covers from West Germany addressed to Australia franked with a wide variety of stamps. 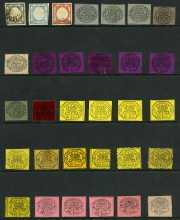 Collection of stamps in KABE illustrated Postage Stamp album volumes I and II for stamps issued from 1840 to 1943. Sparsely filled in places, but includes many hundreds of mint and used stamps from a range of countries spread throughout the albums. Extensive collection of 539 MUH and 98 CTO miniature sheets, sheetlets and booklet panes from 1979 to 1990 in 2 Lindner albums, 4 special albums and 2 stockbooks. Main strength in Portugal, Monaco, Turkey, Jersey, Guernsey, Isle of Man, Spain, Yugoslavia, Denmark, East Germany, Luxembourg, Liechtenstein and Andorra including many useful and highly catalogued items, plus range of cinderella miniature sheets from Germany. Huge cost price and very high face value. Catalogue Value $7,560.00+. Selection of 341 First Day Covers and Postal Stationary items mainly from late 1960's to early 1990's with main strength in West Germany including many with special or commemorative postmarks. Good variety. Collection of thousands of mostly used stamps from early to modern with main strength in Austria, Belguim, Bulgaria, Denmark, France, Germany, Greece, Hungary, Italy, Poland, Russia, Rumania, Spain and Yugoslavia in 9 loose leaf albums. 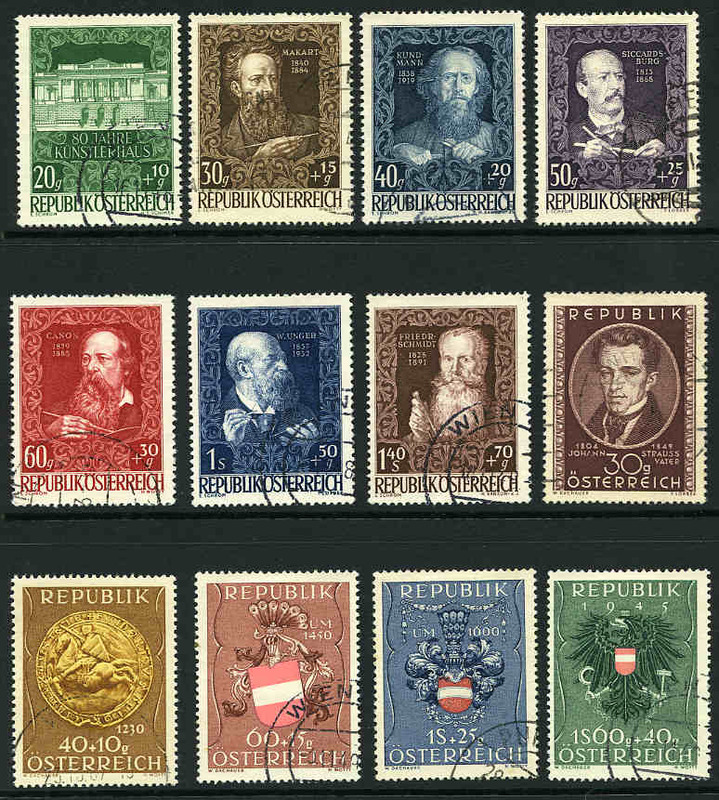 Collection of many hundreds of mostly used stamps from a range of periods with main strength in Austria, Belguim, Bulgaria, Denmark, Greece, Hungary, Poland, Russia, Rumania, Spain, Sweden and Yugoslavia in 5 albums and on stocksheets. Some duplication. 1917-19 War Orphans' Fund set to 1f + 1f excluding 15¢ + 10¢ value and 1918 15¢ + 5¢ Red Cross Fund MLH. 50¢ + 50¢ with minor faults and 1f + 1f with minute thin spot. Sg 370-371, 373-376 and 378. Catalogue Value $1,990.00. 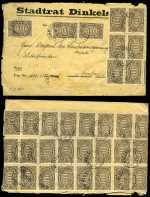 Collection of many hundreds of MUH and FU stamps from 1853 to 1986 including numerous sets and a handy range of Colony issues in Safe Hingeless album and 3 stockbooks. Noted 1938 Unemployed Intellectuals Relief Fund set and 1945, 1950, 1952 and 1953 National Relief Fund sets MUH and largely complete from 1967 onwards MUH. Very high catalogue value. Accumulation of many hundreds of mostly used stamps from early to modern including handy items in Hagner album and stockbook. Also Ceres 1999-2000 catalogue. Some faults and early issues with some heavy duplication. 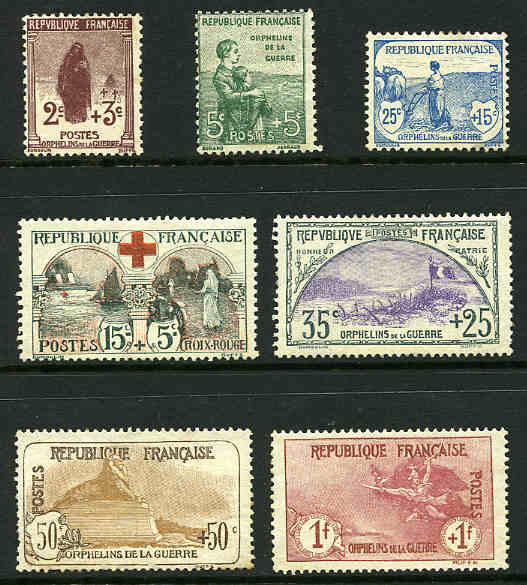 French Southern And Antarctic Territories. 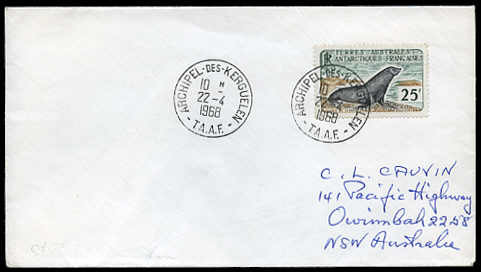 1956 25f Black, Brown and Green Kerguelen Fur Seal FU on plain cover with 1968 Kerguelen Archipelago postmark. Sg 14. Catalogue Value $230.00. 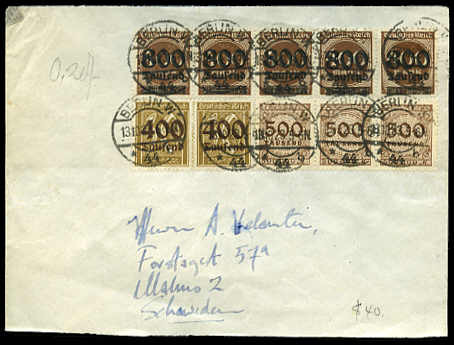 1923 Inflation period cover sent from West Berlin on 13th October 1923 stamped with 800t on 400m Deep Brown (5), 400t on 30pf Bistre Roulette (2) and 500t Brown (3). Small mounting thin on back of cover. Mi 299, 305 and 313. Catalogue Value on cover $541.00. 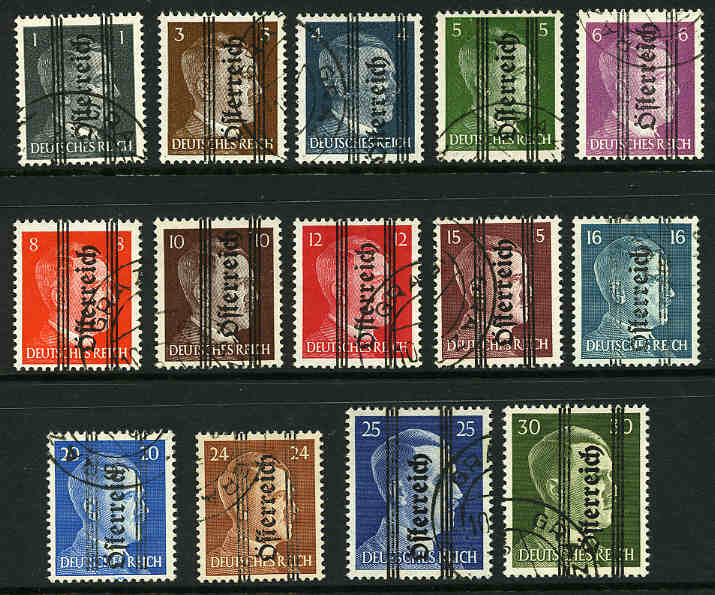 Selection of 3 inflation period covers stamped with quantities of stamps including 2 official covers. 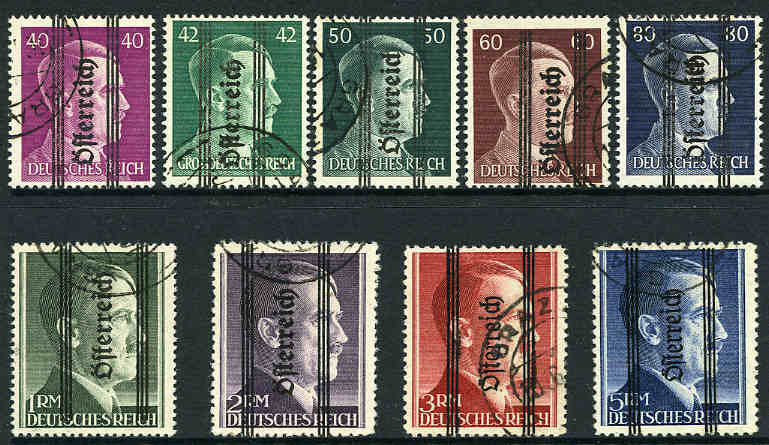 One cover is franked with 1923 3,000m Brown (33, it appears a couple more have been removed) (Mi 254), another with 400m Brown Official (50) (Mi 80) and the third cover with 500m Orange-Red (49, it appears one has been removed) (Mi 81). Catalogue Value $663.00. Selection of 91 pre-stamped postcards from 1891 to 1940 used at a wide variety of towns. Also 10 company appointment postcards with stamps added. Interesting lot. Collection of hundreds of mint and used stamps and miniature sheets from State issues to 1960's including some Local Post and Allied Occupation issues in loose leaf album. Noted Mecklenberg-Vorpommern 1945 Victims of Fascism set MLH and other handy issues. Accumulation of 400 mainly higher value used stamps, plus 10 miniature sheets from 1970's to 1990's on piece. Main strength in West Germany and West Berlin issues. Mainly good to fine used with good variety. Collection of 1,720 mint and used stamps from 1872 to 1923 including handy items, perfins and some variable duplication in Lighthouse stockbook. Condition varies. 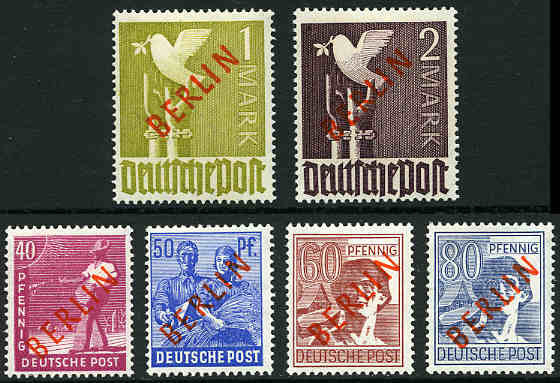 Selection of FU stamps in small stockbook with the odd duplicate and main strength in West Germany. Catalogue Value $346.00. 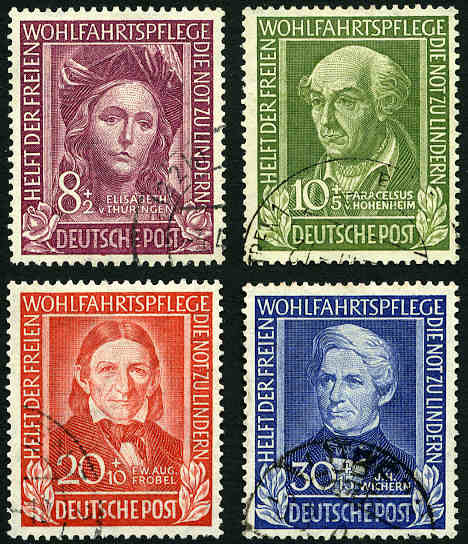 Collection of many hundreds of mostly used stamps from early to modern with main strength in West Germany issues including a range of States, Inflation, Third Reich, Allied Occupation and West Berlin issues in Lighthouse and KEK stockbooks. Some modest duplication. Collection of hundreds of MUH and used stamps including a good range of States, Allied Occupation British and American Zone, Third Reich and Saar issues including many sets and useful items in Lighthouse stockbook. High catalogue value. Collection of many hundreds of mint and used stamps with main strength in States period and WWI and WWII Occupation period with many better and highly catalogued items in loose leaf album. 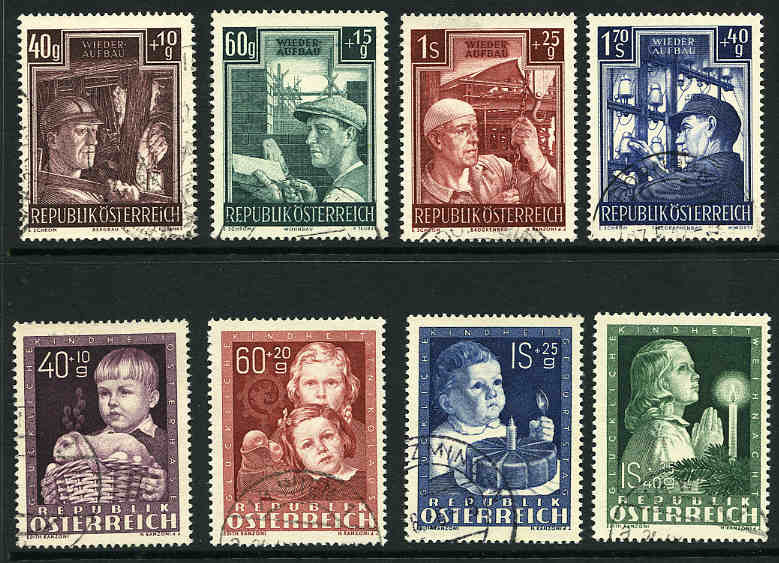 Also small range of Luxemberg, Liechtenstein and Bosnia and Herzegovina issues. Condition varies from poor to fine. High catalogue value. Well worth inspecting. 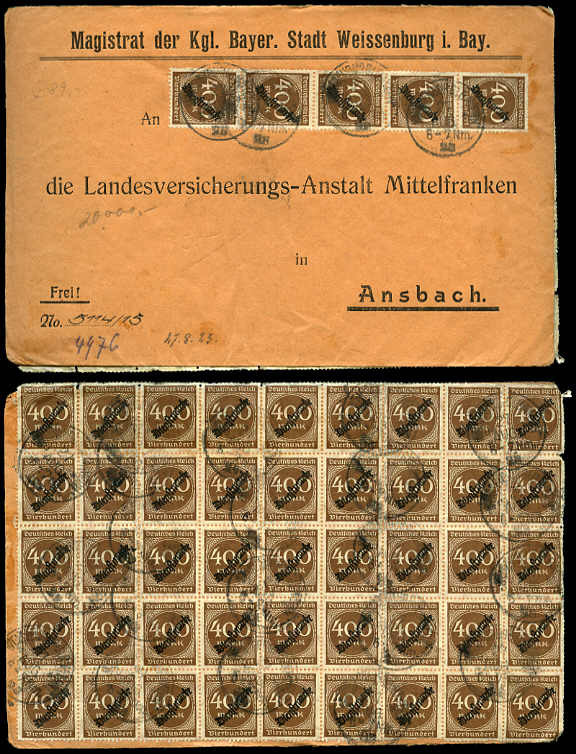 Accumulation of thousand of used stamps from early to modern with main strength in West German issues in shoebox. Stanley Gibbons Germany catalogue, 2005 7th edition in good condition. Retail $99.95. 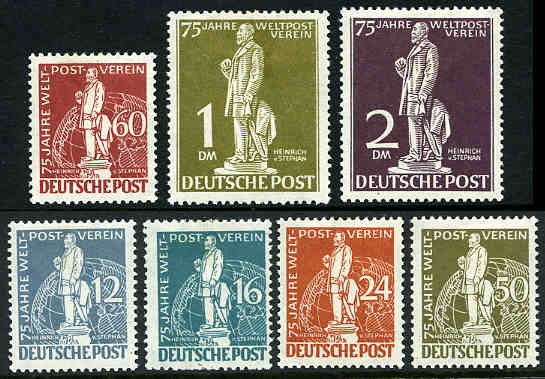 Complete MUH collection from 1957 15f Return of the Saar to Germany to 1959 15f Centenary of Van Humboldt. 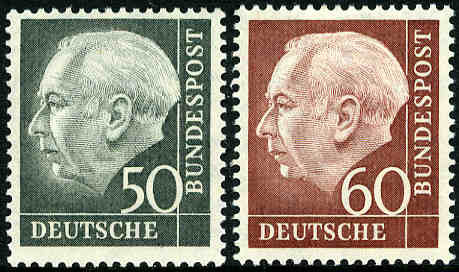 1957 President Heuss set MLH. Sg 376-445. 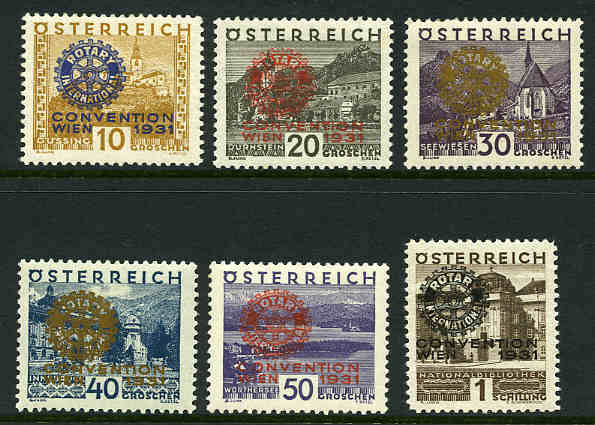 Also British and American Allied Occupation Zone 1949 Hanover Trade Fair set MUH, 1949 Trans-German Cycle Race set MLH and 1949 Bicentenary of Goethe set MUH. Sg A142-A150. Catalogue Value $255.00. 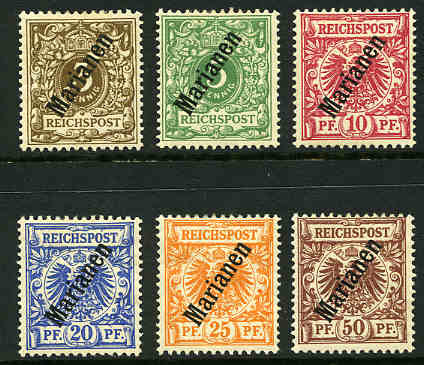 1900 Stamps of Germany with 45 degree O/P MH. Sg 7-12. Catalogue Value $378.00. Collection of hundreds of mostly used stamps from early to modern including Hermes Heads and back of the book issues in large stockbook. Collection of hundreds of mint, used and CTO stamps from 1871 to 1980 including numerous sets in loose leaf albums. Collection of 690 mint and used stamps from 1876 to 1997 including handy items and numerous sets in small stockbook. 1993 Catalogue Value over $2,100.00. 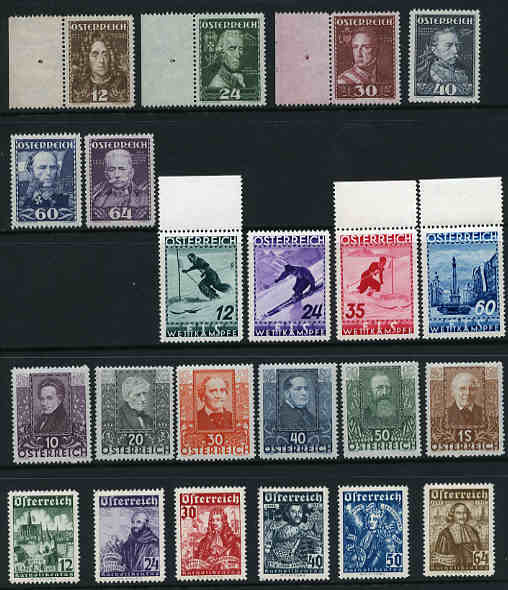 Comprehensive collection of MUH, MLH and fine used stamps from 1946 to 2006 including numerous sets, handy items and miniature sheets on album pages in 3 Seven Seas binders with slipcases. Includes a good range of unlisted 1948-49 Indonesian Republic issues and all miniature sheets MUH. Noted 1989 Orang-Utan M/S set MUH. High catalogue value. Collection of 138 official unaddressed FDC's from 1980 to 1993 including odd duplicate. Few covers with faint toning. Comprehensive and largely complete collection of MUH and MLH stamps with tabs from 1958 Merchant Marine set to 1983 Stamp Exhibition M/S including booklets and miniature sheets in Minkus Standard album in 2 binders. Noted 1963 Halbanon Hebrew Press sheetlet MLH. Small range of issues fine used. High catalogue value. Largely complete MUH collection with tabs from 1985 50s Memorial Day to 2002 Birds of Jordan Valley set excluding a few issues only in 5 binders. Also collection of mint stamps with tabs from 1955 to 1984 including numerous sets and some faults in Minkus Standard album to 1977 and 2 binders. High catalogue value. 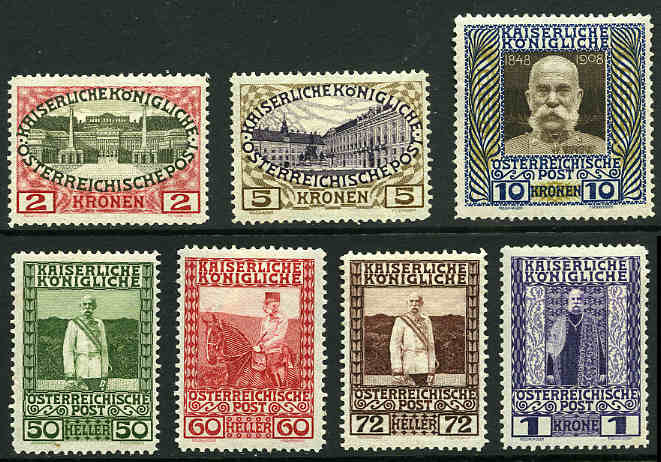 Collection of MUH, MLH and fine used stamps from 1948 to 1986 on Schaubek Hingeless album pages. Includes many sets, handy items and most issues from 1952 Jewish New Year set onwards with tabs. Noted 1949 Postage Stamp Anniversary M/S MLH. Odd fault and high catalogue value. Collection of hundreds of mostly used stamps without tabs from 1948 to 1986 in PW stockbook. Selection of 92 stamps from Naples, Neapolition Provinces, Papal States, Parma, Romagna and Sardinia. 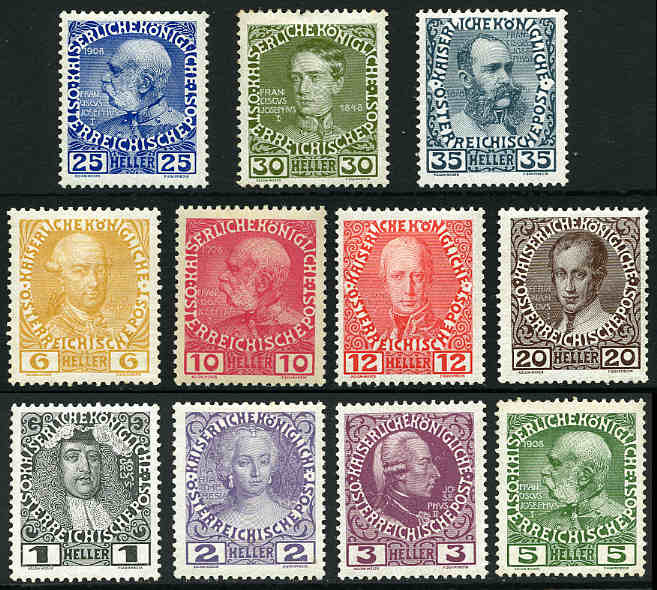 Usual mixture of genuine, forgeries and reprints with some duplication. High catalogue value. Offered as is. 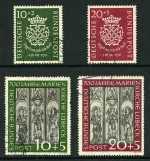 1924 Holy Year set and 1934 Annexation of Fiume set FU. Sg 172-177 and 395-E410. Catalogue Value $307.00. 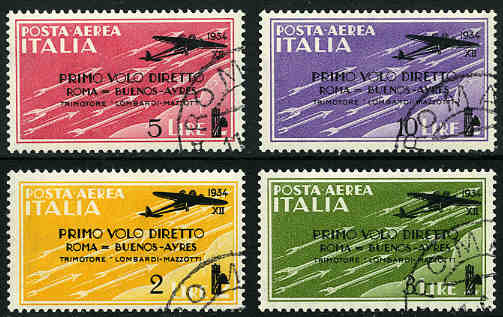 1934 Rome-Buenos Aires Flight Airmail O/P set FU. Sg 391-394. Catalogue Value $337.00. 1933 Zeppelin Airmail set FU. Sg 171-176. Catalogue Value $1,155.00. 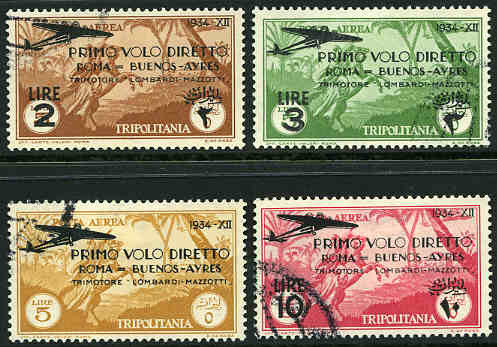 1934 Rome-Buenos Aires Flight Airmail O/P set FU. Sg 179-182. Catalogue Value $250.00. 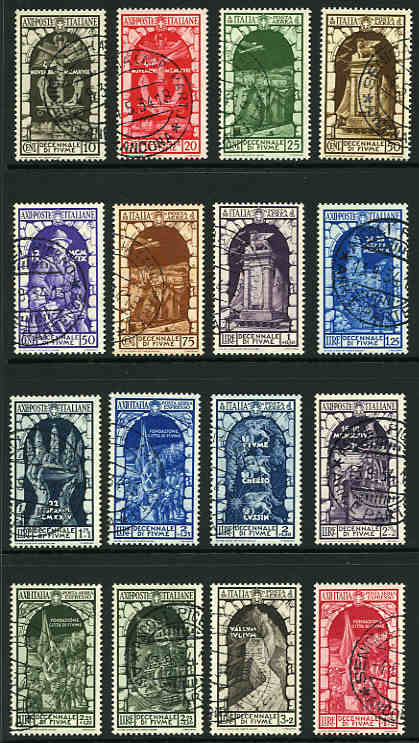 Collection of hundreds of used stamps from a range of periods with various countries represented including Egypt, Iran, Iraq, Israel, Turkey and more in large stockbook. Comprehensive collection of many hundreds of mint and used stamps from 1852 to 1986 including handy items, numerous sets, miniature sheets and several booklets in 2 loose leaf albums and stockbook. Majority MUH from 1964 onwards. Some earlier issues with mainly slight faults, otherwise generally fine condition. Catalogue value over $5,540.00. Collection of 170 mostly unaddressed illustrated NVPH FDC's from 1964 to 1990 including complete Commemorative issues from 1975 Cultural, Health and Social Welfare Funds set to 1983 Child Welfare set. Odd duplicate. Accumulation of over 5,000 used stamps from the 1870's to the 1950's sorted into envelopes with numerous duplicates. Could be worth checking for postmarks. Collection of hundreds of mint and used stamps from 1852 to 1996 including handy items and numerous sets on album leaves. High catalogue value. Collection of hundreds of mint and used stamps from 1876 to 1967 including useful items in Davo illustrated album. Collection of hundreds of used stamps from a range of periods including some Charity and Postage Due issues, plus odd colonial issue in large Chinese stockbook. Collection of mint and used stamps including some Netherlands New Guinea on Hagner sheets. 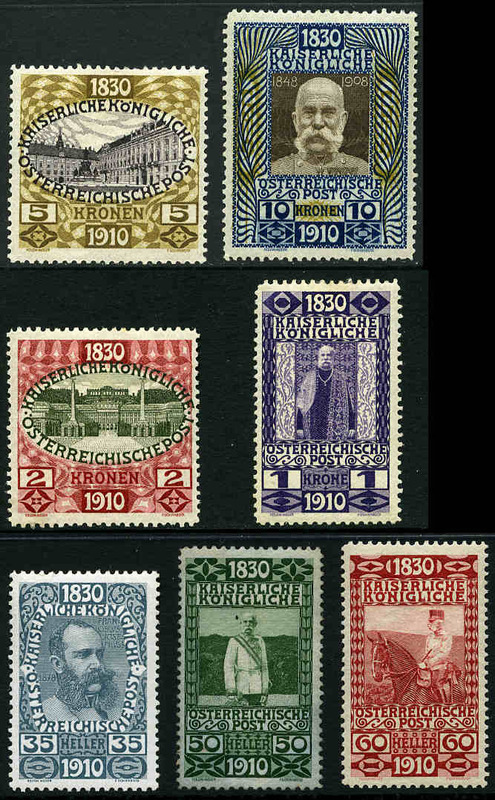 Specialised collection of approximately 3,000 MUH, MLH and postally used stamps from 1860 to 1919 including overprints on German and Austrian stamps, largely complete but excluding 25h, 1k, 3k, 4k and 10k top issues of Cracow in Lighthouse stockbook. Very interesting lot for the serious specialist or stamp dealer with many varieties, errors and postmarks. Considerable duplication. Such an extensive selection of this period is rarely offered. Very high catalogue value. 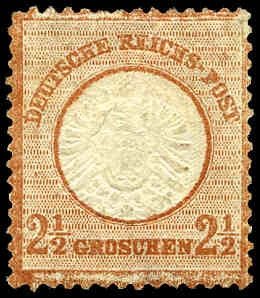 Specialised collection of many thousands of MUH, MLH and postally used stamps from 1920 to 1924 including 1922 Upper Silesia issues in Lighthouse stockbook. Very interesting lot for the serious specialist or stamp dealer with many varieties, errors and postmarks. Considerable duplication. Such an extensive selection of this period is rarely offered. Very high catalogue value. 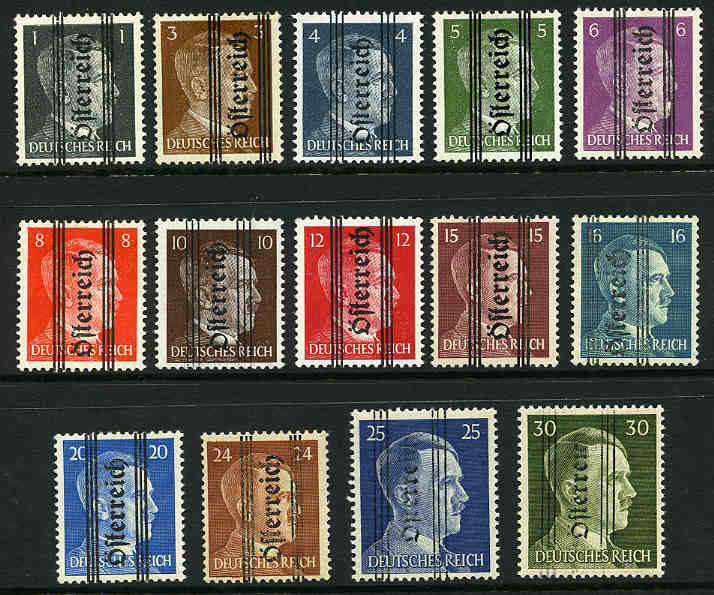 Specialised collection of thousands of MUH, MLH and postally used stamps from 1924 to 1939, plus 9 miniature sheets including 1937 Visit of King of Rumania set of 3 M/S, 1938 Philatelic Exhibition perforated and imperf M/S, 1938 Stratosphere Flight M/S and 1939 Polish Legions M/S MLH in Lighthouse stockbook. Very interesting lot for the serious specialist or stamp dealer with range of varieties, errors and postmarks. Considerable duplication. Such an extensive selection of this period is rarely offered. Very high catalogue value. Collection of many hundreds of mint and used stamps, miniature sheets and some covers in 7 albums including useful items and some duplication. 1856 5r Brown King Pedro V with curly hair, and 1866 25r Rose and 80r Orange King Luis imperfs with 3 to 4 margins, the 5r stamp with small tear. Sg 18a, 40, and 43. Catalogue Value $349.00. Collection of hundreds of mainly CTO stamps with main strength from 1960's to 1981 on album pages. The Jubilee Collection 1961-1986 25 Years of Soviet Space Stamps comprising of 196 stamps and 22 miniature sheets MUH in special album. Catalogue Value $463.00. Selection of 160 unaddressed Pre-Stamped covers and First Day Covers from 1982 to 1985 including few postcards and some duplication. Remnants collection of hundreds of mainly used stamps from Argentina, Bolivia, Brazil, Chile, Colombia, Costa Rica and Cuba on album pages. Collection of 369 mint and used Locals, Cinderella, Charity, Revenue and Civil War issues in small Stockbook. Good variety. Collection of hundreds of mint and used stamps on album leaves from early to modern including some handy items and a few booklets. 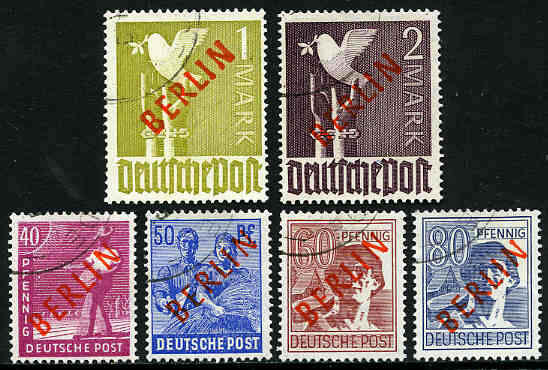 1964 Pro-Juventute set (2), 1966 Pro-Juventute set (12), 1966 Publicity set (35) and 1966 50¢ Publicity (228) on official unaddressed FDC's. Sg 731-733, J202-206 and J212-216. Selection of 29 official unaddressed FDC's from 1996 to 1998 including a few stamped with blocks of 4. Face Value $58.00. Collection of many hundreds of MUH and FU stamps, covers, packs, miniature sheets and booklets in 2 good quality stockbooks. 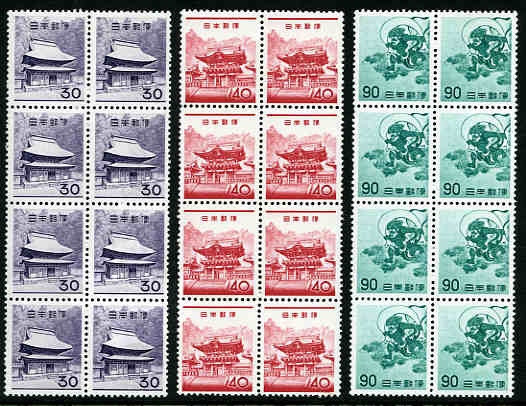 Collection of many hundreds of used stamps from 1851 to 1979 including range of highly catalogued early issues in Scott and Minkus albums, plus range of MUH and MLH stamps in Hagner binder and Chinese stockbook and 1975, 1977, 1978, 1979, 1980, 1981 and 1982 Commemorative Year folders. Also empty Liberty album from 1847 to 1980. 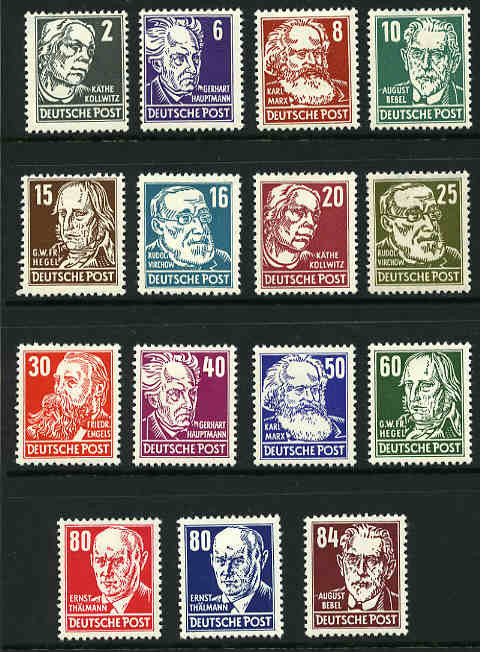 Selection of MUH stamps from 1965 to 1993 including many sets and some duplication. Face Value US$127.00. 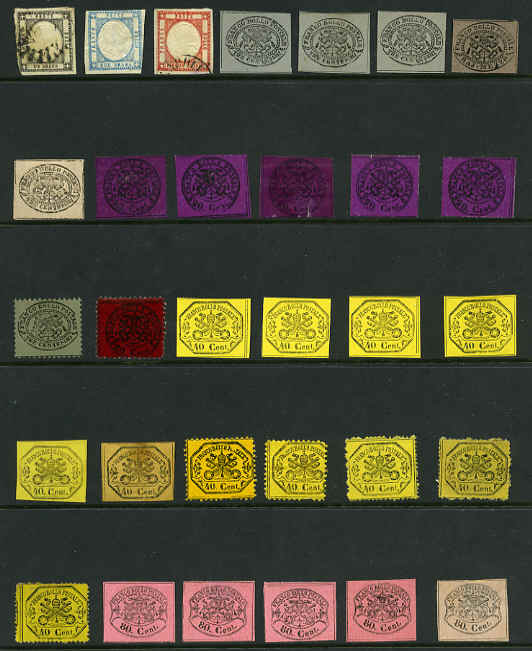 Selection of 311 mint and MUH stamps from a range of periods in small stockbook. 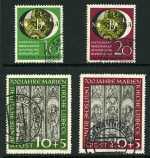 Collection of hundreds of MLH and MUH stamps in singles and blocks of 4 from a range of periods in stockbook, plus 1987 and 1988 Commemorative and 1987-88 Definitive Year books and 1987 Folk Art and Crafts book. Collection of many hundreds of used stamps from early to modern in large stockbook with some handy items. Some toning. 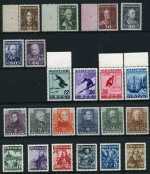 Collection of many hundreds of used stamps from early to modern in 2 stockbooks. Some duplication. 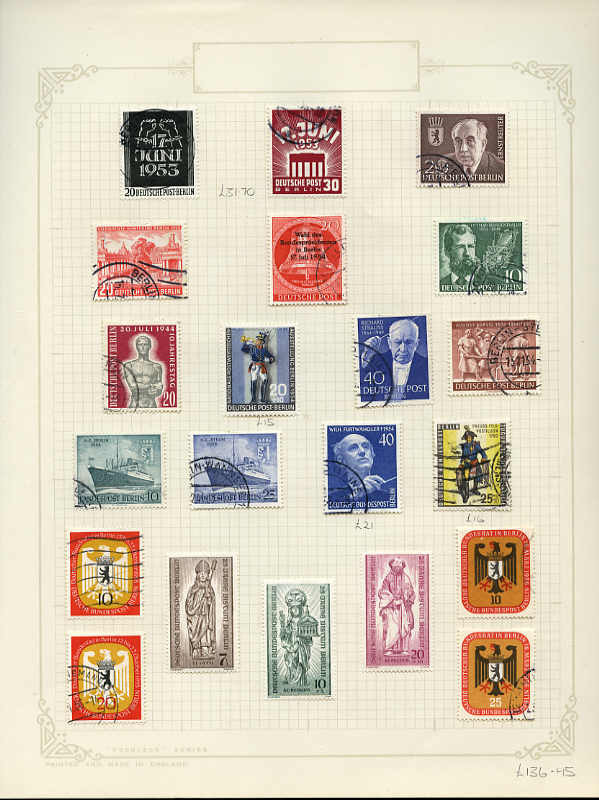 New York, Geneva and Vienna collection of hundreds of MUH, MLH and F/U stamps, blocks of 4 and miniature sheets from 1951 to 1991 in 2 stockbooks and on Minkus album pages. Noted New York 1955 Anniversary M/S MUH. 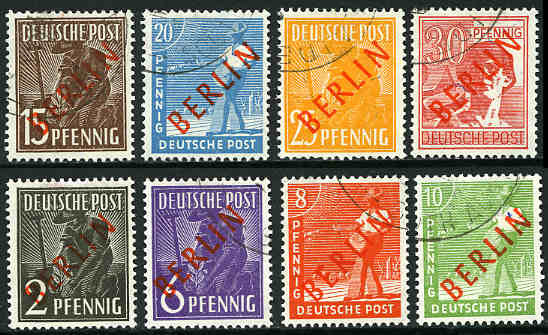 1949 Red Berlin O/P set on Allied Occupation issues FU. The set is from a mint specimen set supplied to the postmaster of the GPO Adelaide in 1949 and each was lightly cancelled in the corner with the Adealide CDS postmark. This set's provenance make it useful as a genuine reference set. Sg B21-B34. Catalogue Value $1,890.00. 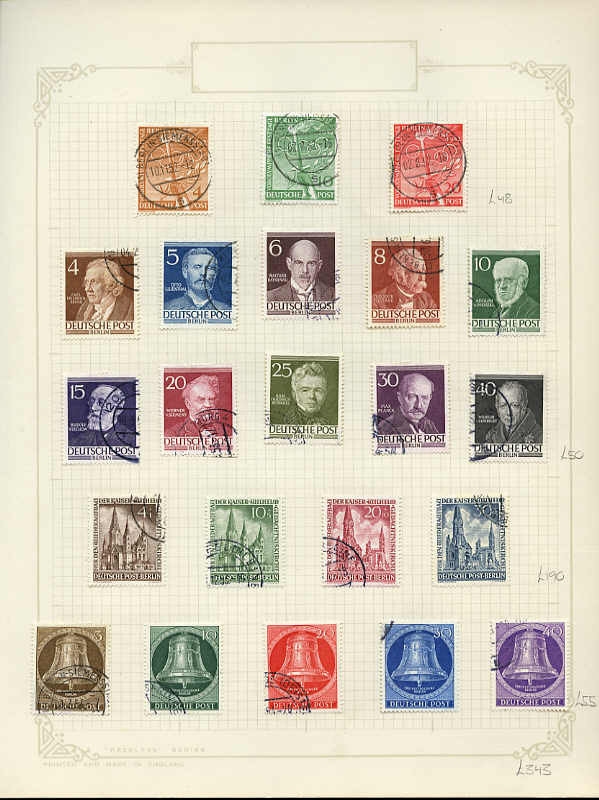 Collection of hundreds of fine used stamps from 1949 to 1989 on Lindner Hingless album pages including 1951-52 Freedom Bell with clapper at right set (5pf MUH) and 1953 Freedom Bell with clapper in centre set. Main strength from 1960 onwards. 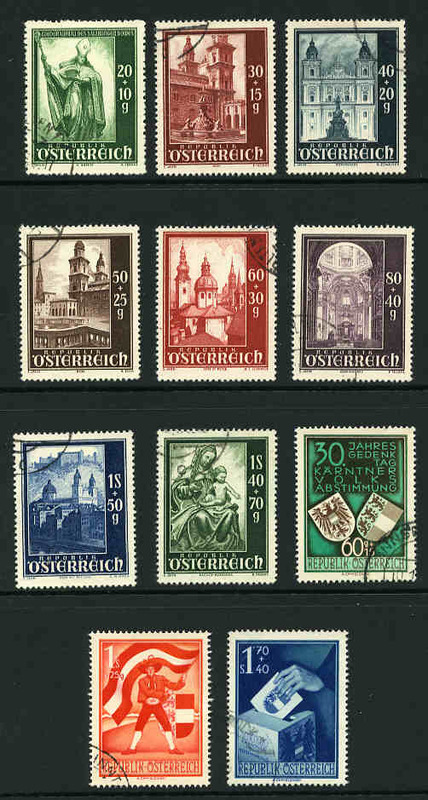 Collection of hundreds of MUH stamps from 1952 to 1989 on Lindner Hingless album pages. Main strength from 1960 onwards. Collection of hundreds of MUH and fine used stamps from 1949 to 1990 in KABE Standard album in 2 binders. 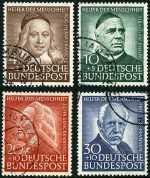 Includes 1949 Goethe set FU (30pf with repaired corner perf), 1950 20pf European Recovery Programme FU, 1951 20pf Lortzing FU, 1951 Freedom Bell with clapper at left set MUH, 1951 Stamp Day set MUH, 1952 30pf Beethoven MUH and FU, 1952 Olympic Games set MUH and FU, 1952-53 Famous Berliners set MUH and FU, 1953 Freedom Bell with clapper in centre set MUH, 1953 East German Uprising set MUH and FU and largely complete both MUH and FU from 1953 onwards. Very high catalogue value. Comprehensive collection of hundreds of fine used stamps from 1951 to 1990 in Lindner Hingless album in 2 binders including 1952 30pf Otto Gas Engine, 1952 Youth Hostels Fund set, 1952 30pf Telephone Service, 1953 30pf Liebig, 1953 Transport Exhibition set, 1953 Philatelic Exhibition set and largely complete from 1954 President Heuss set onwards. Collection of hundreds of MUH and fine used stamps from 1949 to 1989 in 3 KABE standard albums including 1951 30pf Rontgen MUH, 1952 30pf Otto Gas Engine MUH, 1952 Youth Hostels Fund set MUH, 1953 30pf Liebig FU, 1955 Lufthansa Airways set MUH set and numerous sets both MUH and FU from 1957 onwards. Very high catalogue value. 1949 Refugees' Relief Fund set good to fine used. The 20pf value has one short perf. Sg 1,039-1,042. Catalogue Value $337.00. 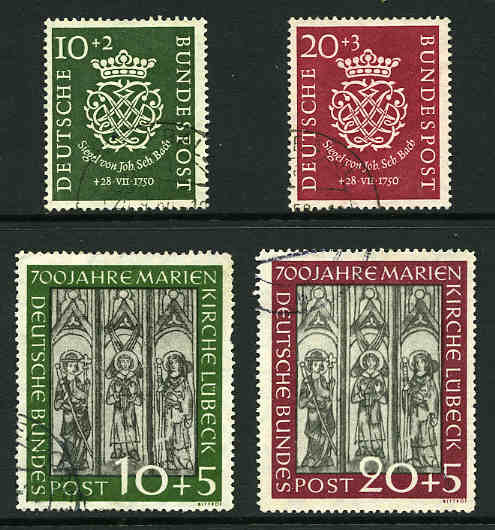 1950 Bach set and 1951 St. Mary's Church set FU. 10pf St. Mary's Church with a few short perfs. Sg 1,043-1,044 and 1,065-1,066. Catalogue Value $497.00. 1951 St. Mary's Church set fine used, the 10pf value with some short perfs and 1951 Philatelic Exhibition set fine used, the 10pf value with one short perf. Sg 1,065-1,068. Catalogue Value $631.00. 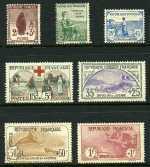 1953 Humanitarian Relief Fund set FU. Sg 1,099-1,102. Catalogue Value $210.00. 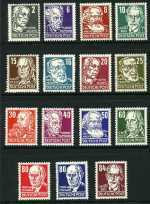 Comprehensive collection of hundreds of MUH stamps from 1952 to 1990 in Lindner Hingless album in 2 binders including 1952 30pf Otto Gas Engine, 1952 Youth Hostels Fund set, 1952 Humanitarian Relief Fund set, 1952 30pf Telephone Service, 1953 30pf Liebig, 1953 Transport Exhibition set and largely complete from 1955 Humanitarian Relief Fund set onwards. 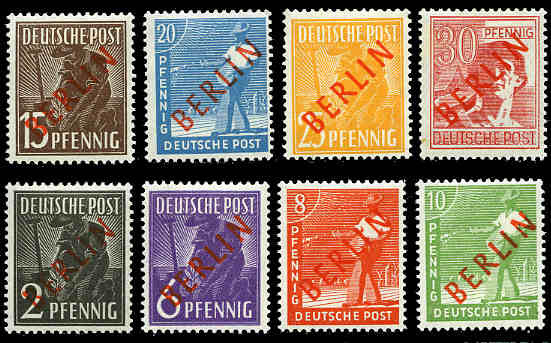 Collection of thousands of MUH and fine used stamps from 1952 to 1994 including numerous sets, some modest duplication and range of West Berlin issues in 8 stockbooks. Very high face value of MUH stamps. Collection of hundreds of good to fine used stamps from 1951 to 1974 including handy items, plus a range of mint and used Occupational issues in Davo standard album. Complete collection of Commemorative Year books from 1977 to 1989. Face Value 581.45DM. Collection of many hundreds of MLH and fine used stamps from 1948 to 1991 with handy items and some periods largely complete in Davo album. High catalogue value. 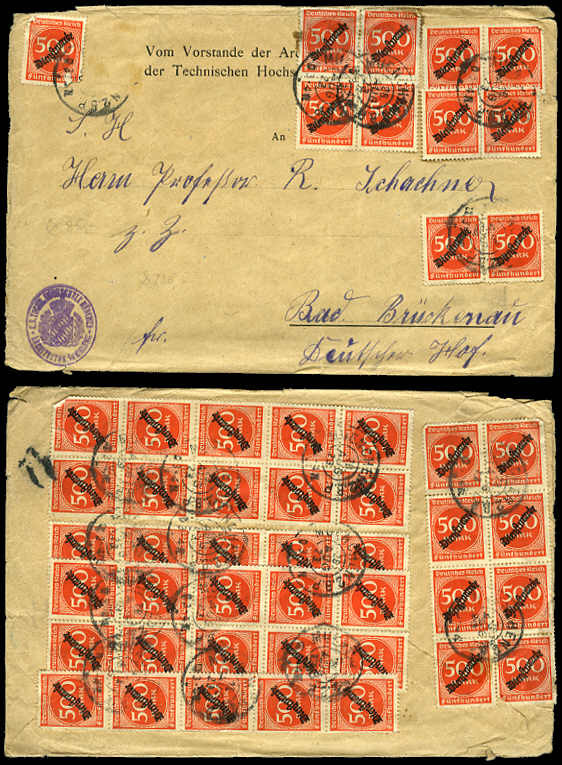 Accumulation of thousands of MLH and MUH stamps from a wide range of countries and periods sorted into packets including numerous sets, handy items and some duplication in shoebox. 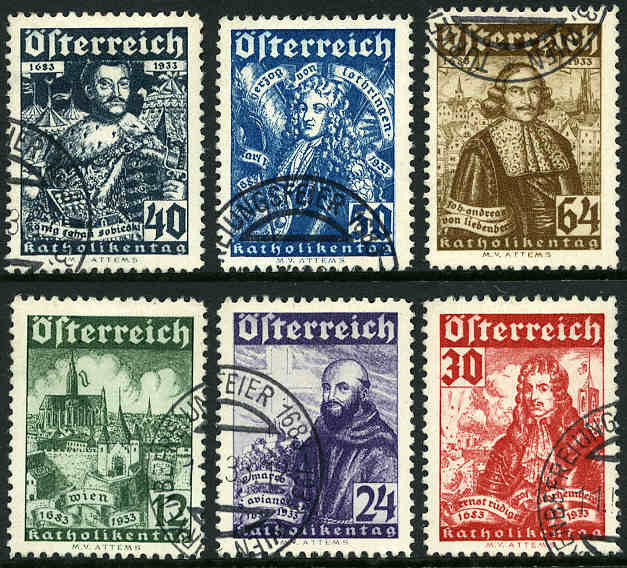 Accumulation of 2,000 mainly VFU or CTO Thematic type stamps from a range of countries. 1965 Sir Winston Churchill collection of 412 stamps and 17 miniature sheets MUH in special White Ace album including British Commonwealth Omnibus set excluding Great Britain phosphor and Maldive Islands sets only. High catalogue value. World Wildlife Fund official collection of 252 MUH stamps and 255 attractive First Day Covers from 1986 to 2006 in 6 deluxe albums. High cost price. World Wildlife Fund official collection of 230 MUH stamps and 230 attractive First Day Covers from 1983 to 1989 in 6 deluxe albums. Cost price $1,211.00. 1979 Year of the Child collection of 379 stamps and 23 miniature sheets MUH on Hagner sheets. Good range of countries and some light duplication. 1980 Olympic Games and 1984 UPU Congress collections of 239 stamps and 59 miniature sheets MUH and 123 FDC's and postal stationery items from a range of countries in 3 special albums and Lighthouse album. Very high cost price. Collection of many hundreds of MUH, MLH and fine used stamps mainly featuring Birds in Lighthouse stockbook including many sets, miniature sheets and few booklets. Main strength in British Commonwealth countries from 1960's to early 1990's. 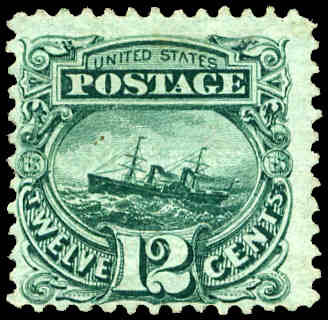 Collection of hundreds of modern MUH stamps featuring Ships including numerous sets and miniature sheets from a wide range of countries. High cost price. Accumulation of thousands of mint stamps from a wide range of countries and periods in shoebox. No Australian. Collection of mint and used stamps, FDC's and miscellaneous items mainly from Australia, New Zealand and USA. Noted Australia 1931 Kingsford Smith set on 2 registered FDC's and New Zealand 1954-57 2/6 (2), 5/- and 10/- QEII on Horseback MUH. Collection of many hundreds of MUH and fine used stamps featuring Soccer from a wide range of countries including numerous sets and some miniature sheets in 2 large Chinese stockbooks. Accumulation of many thousands of mostly used stamps off paper in small box. No Australian. 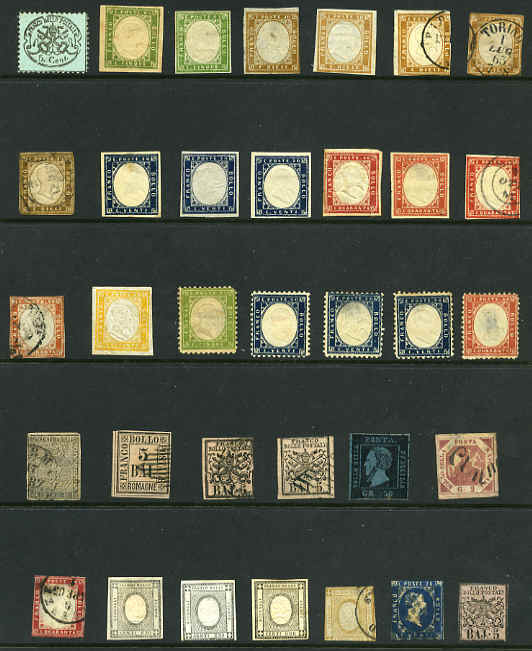 Accumulation of many hundreds of mostly used stamps from Queen Victorian era to modern in large stockbook with main strength in Malaya and States and Great Britain. Some faults and duplication varies from light to heavy in areas. High catalogue value. 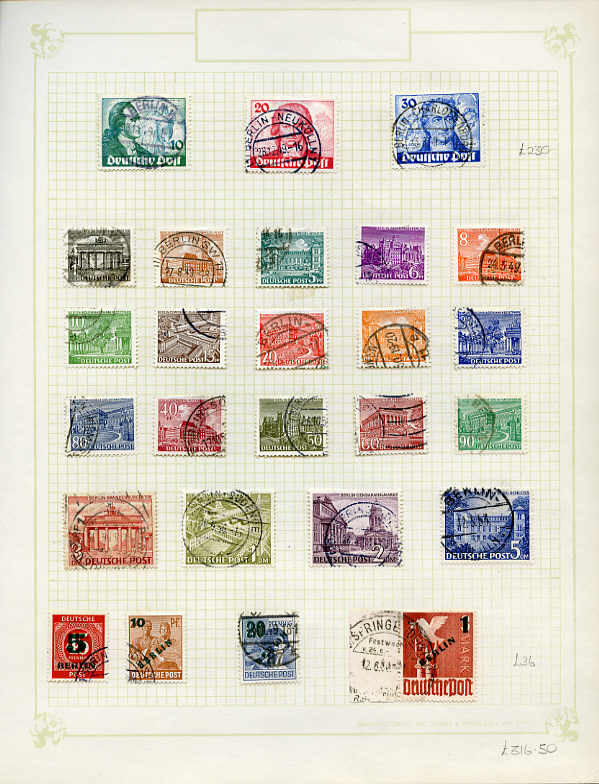 Collection of hundreds of mostly large, mainly used or CTO Thematic type stamps in large stockbook. Collection of many hundreds of mostly used stamps from a range of countries and periods in loose leaf binder including a useful selection of Australia and New Zealand. Accumulation of many hundreds of mint and used stamps, comprising mainly of Australia and Australian Territories issues, but includes a range of other countries in 3 small stockbooks. Noted Australia 1914 6d Claret Kooka, 1934 1/- Vic Centenary (3), 1935 1/- Anzac (2), 1937 2d NSW Sesqui with "Man with tail" variety (2), 1938 £1 Thick Paper Robe (3), 1949-50 Arms set, 1963-64 Navigator set all good to fine used, Cocos (Keeling) Is 1963 Definitive set MUH (2), 1963 2/3 Tern GU (5), Norfolk Is 1961 10/- Bird pair MUH, New Zealand 1934 7d Trans-Tasman Airmail MUH, Great Britain 1840 1d Black Queen Vic imperf FU with poor margins and many other handy items. Varied condition, but mainly fine. Carton containing tens of thousands of mostly smaller sized stamps off paper from a range of countries and periods. No Australian. Accumulation of thousands of foreign and Australian stamps in shoebox off paper, with some on paper content. Collection of many hundreds of mint and used stamps in old Triumph stamp album, with better and useful items including a good range of early Australian issues both mint and used. Well worth inspection. Accumulation of thousands of used stamps off paper from a range of countries including some Australian, New Zealand and Pacific Islands content. 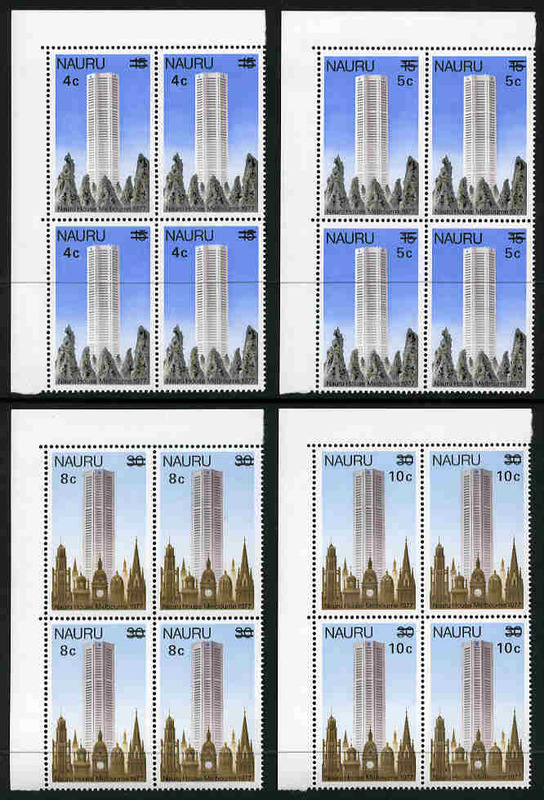 Also small selection of MUH stamps from Gilberts Islands, Isle of Man, Kiribati, Niue and Tuvalu. Collection of mostly earlier mint and used stamps including interesting and handy items in Lincoln album. Odd fault. Noted Great Britain 1840 1d Black Queen Victoria imperf FU. Collection of mostly earlier issues in Improved album including a handy range of mint and used Japan and some other useful items. 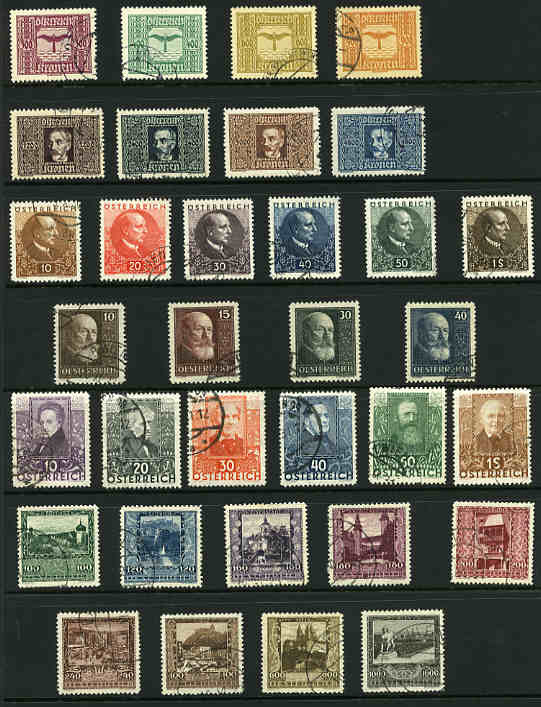 Collection of many hundreds of mint and used stamps with main strength in earlier issues including many useful and interesting items. Noted a good selection of France, Germany, Italy and U.S.A. Well worth inspecting. Collection of hundreds of stamps from a range of countries in old tatty Cosmopolitan album and Globe album, plus hundreds of thematic type stamps in Seven Seas Stamp of the Month album. Also USA 1982 State Birds and Flowers sheet of 50 MUH. Collection of many hundreds of mint and used stamps in Stanley Gibbons illustrated New Imperial albums volumes 1 and 2 covering issues from 1840 to 1936 in good condition. 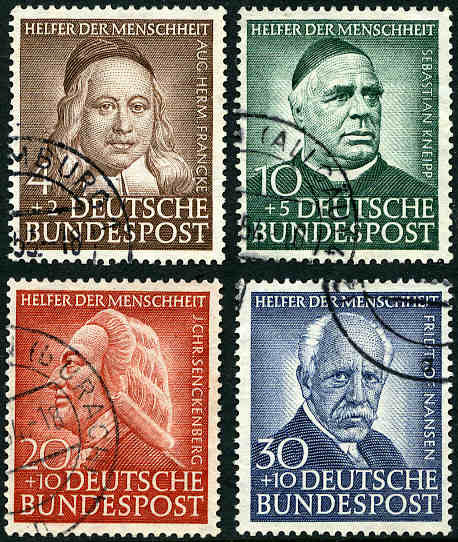 Collection of many thousands of stamps from a range of countries and periods including a strong range of Germany. Collection of hundreds of used stamps including duplicated range of highly catalogued early Great Britain Queen Victoria issues in Globe album. 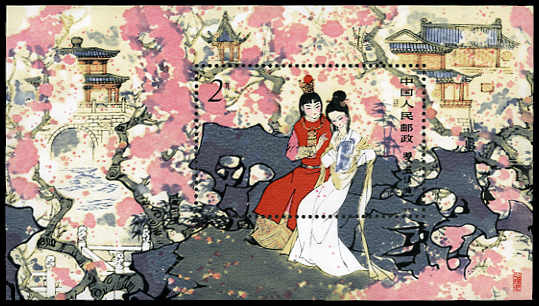 Carton containing accumulation of tens of thousands of mostly used stamps off paper with a range of countries and periods represented. No Australian. 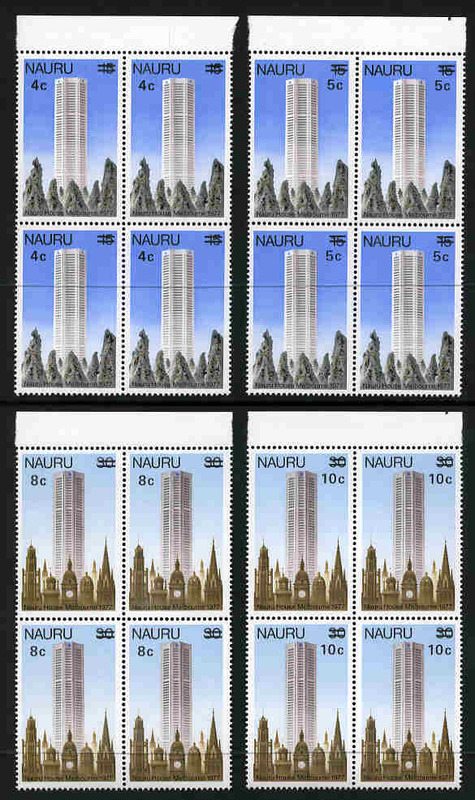 Collection of many hundreds of stamps in 5 albums or stockbooks including some modern MUH Australian content. Collection of many hundreds of mint and used stamps from a range of countries and periods in 10 small albums or stockbooks and tobacco tin including a useful range of Australia. 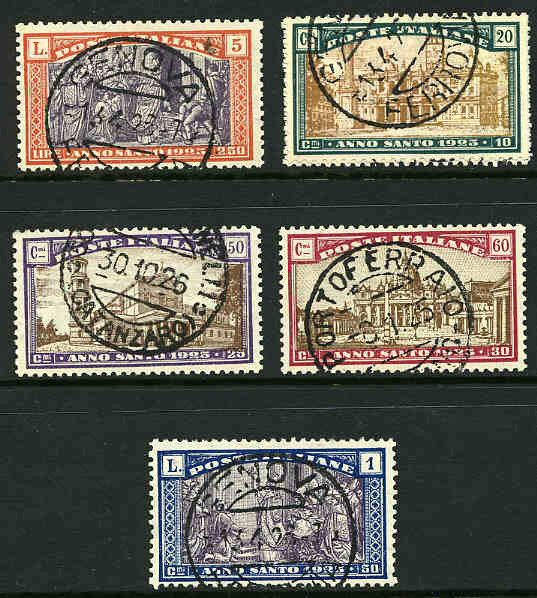 Noted 1914 6d Claret Kooka MLH and FU and 1932 5d C of A Wmk KGV O/P OS VFU. 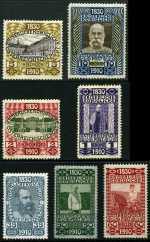 Collection of thousands of mostly used stamps from a range of countries and periods in 5 albums, plus small range of covers and miscellaneous items. Main strength in Australia and Great Britain. Collection of many hundreds of mint and used stamps from a range of countries in 5 small and 8 large stockbooks and on and off paper in shoebox, plus bundle of covers, First Day covers, miscellaneous items and shoebox of mostly modern postcards. Includes numerous Europa sets, Australian low value Pre-Decimal issues and range of Australian Territories, Papua New Guinea and Samoa stamps mainly MUH including many sets and some handy items. Accumulation of mint and used stamps from a range of countries in 4 large stockbooks, sheet file and on fullscap leaves, plus bundle of First Day Covers, PSE's, miscellaneous items and on and off paper mixture in 2 shoeboxes. Also small range of mainly Australian coins in small box. Collection of mint and used stamps from a range of countries in 2 loose leaf albums, small Junior Globe loose leaf album, on and off paper mixture in small box and tin, plus range of covers. Includes approximately $120.00 face value of mint Australian Decimal issues. 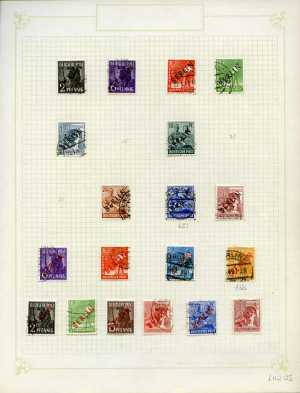 Accumulation of thousands of mostly used stamps from a range of countries and periods in 11 loose leaf albums. Accumulation of mostly used stamps in 3 small albums, on and off paper mixture in small box and shoebox, plus large bundle of modern commercial covers with main strength in Australia, Russia and Latvia. Carton containing 122 packets of 200 different stamps. 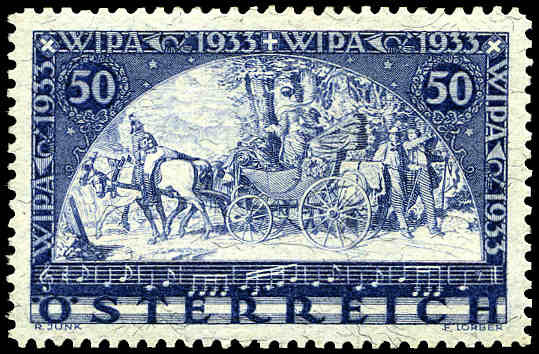 (24,400 stamps). Carton containing accumulation of on and off paper mixture from early to modern, sorted in plastic bags with main strength in Australia, but includes a proportion of Foreign. 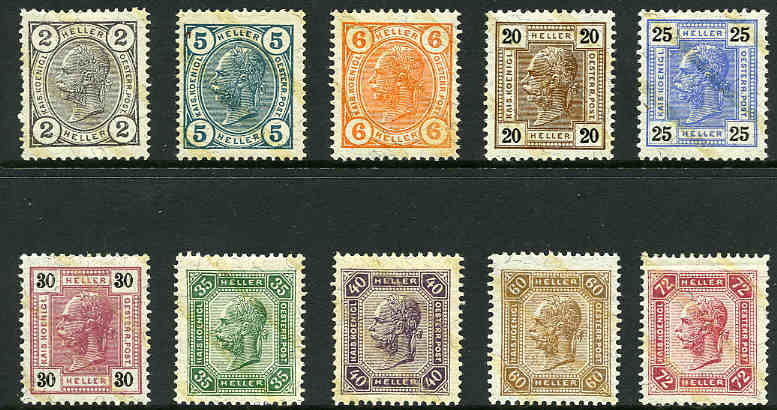 Collection of many hundreds of mostly used stamps from a wide range of countries and periods in 12 albums with main strength in Australia and Great Britain. Noted Australia 1928 3d Kooka M/S MLH with perf separation reinforced with hinges, Great Britain 1940 1d Black Queen Victoria imperf FU with small tear, Norfolk Is 1953 Definitive set MLH and Papua New Guinea 1952-58 Definitive set MLH. 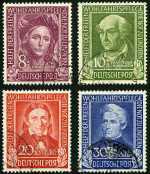 Collection of stamps in Senf's (Schaubek) illustrated Postage Stamp album for stamps issued from 1840 to 1892. Tatty and sparsely filled, but includes hundreds of stamps from a range of countries spread throughout the album. Accumulation of mint and used stamps from a range of countries on album pages and in packets, plus some covers and miscellaneous items. Includes 1988 Our World Volume 1 (2) and USA 1976, 1978 and 1979 Commemorative Year folders. Collection of many hundreds of mint and used stamps from a wide range of countries and periods in 5 albums including sparsely filled Stanley Gibbons Imperial album, plus accumulation of Australian Pre-Decimal stamps sorted into envelopes. Some handy items. 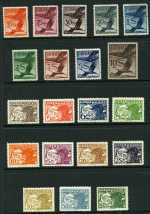 Collection of many hundreds of MUH and used stamps from a wide range of countries and periods including numerous sets and some handy items in 15 albums or stockbooks. Small carton containing many thousands of mainly larger sized stamps off paper from a range of countries and periods. General world collection of mint and used stamps in various albums including a useful range of better items, plus bundle of covers and packets in shoebox. 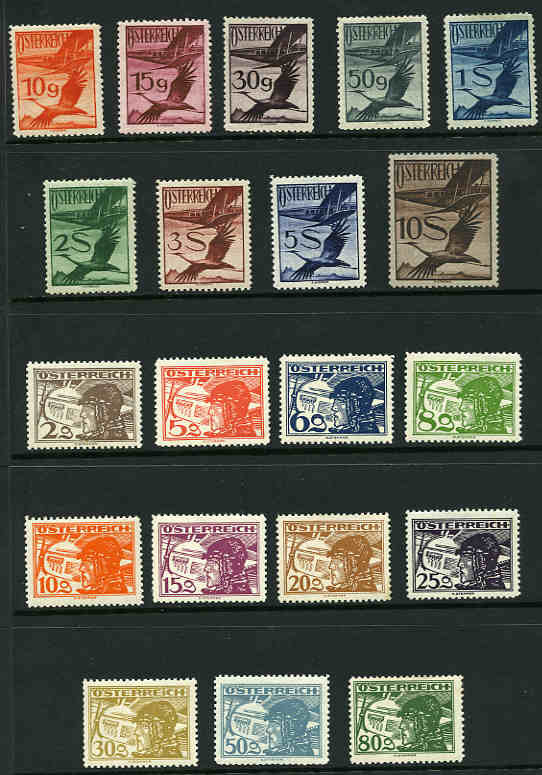 Collection of thousands of used stamps from a range of countries and periods in 4 Lighthouse stockbooks and sparcely filled Liberty album, plus Seven Seas Stamp of the Month thematic type stamps in 4 albums. Includes some handy West German issues. Collection of thousands of mint and used stamps from a wide range of countries and periods on album pages and Hagner sheets in 12 albums, plus on and off paper mixture in shoebox. Includes handy items and numerous modern sets MUH. Well worth inspecting. 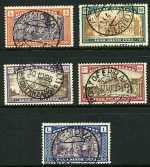 Collection of mostly used stamps from a range of countries and periods in 6 albums or stockbooks including a useful selection of Australian issues. Collection of many hundreds of mint and used stamps from a range of countries and periods in 6 loose leaf albums including a useful and highly catalogued range of early Great Britain, Canada and New Zealand, plus off paper accumulation in small box. Usual variable condition. Carton containing accumulation of many thousands of stamps from a range of countries and periods in packets and two small boxes, plus bundle of small stock sheets in shoebox. Some mint and on paper content. Small accumulation of used earlier issues with some highly catalogued items in 2 scrappy note books. Also 2 albums and packet of more common stamps and small box of coins. Accumulation of tens of thousands of stamps off paper in wine carton. No Australian. Weight 15 pounds. Collection of thousands of mint and used stamps from a wide range of countries and periods including handy items in 14 large loose leaf albums. Collection of thousands of mostly used stamps from a wide range of countries and periods in 18 small albums, plus bundle of circuit sheets in shoebox including some handy items. Accumualtion of many thousands of used stamps off paper in small carton. No Australian. Collection of mint and used stamps from early to modern from a wide range of countries in 9 Stanley Gibbons 22 ring binders. 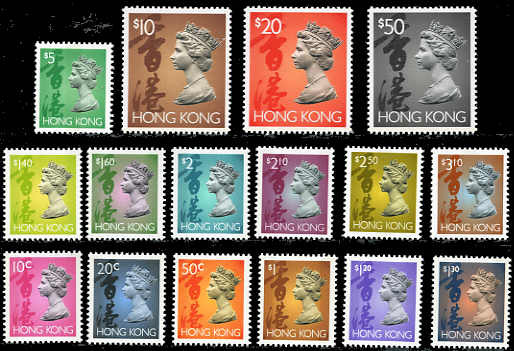 Main strength in British Commonwealth countries with numerous sets, handy items and Omnibus issues including near complete 1949 UPU fine used and useful range of Singapore issues. Some toning. Collection of many hundreds of stamps with some handy items in Premier Globe album and on bundle of album leaves. Accumulation of tens of thousands of stamps off paper in wine carton. No Australian. Weight 11 pounds. Collection of thousands of mostly used stamps including some handy items from a range of countries and periods in 17 albums or stockbooks. Main strength in Australia and Great Britain, but includes a good range of other countries. Includes several quality stockbooks. 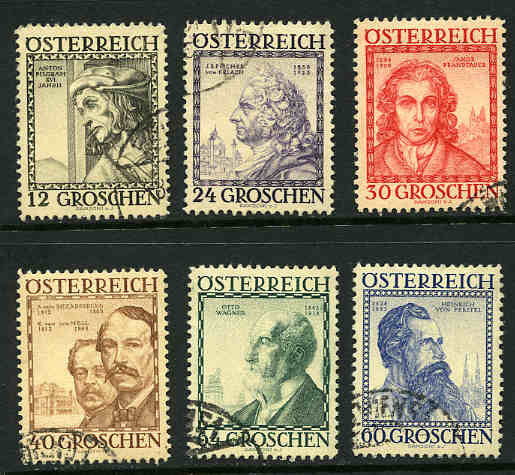 Collection of many hundreds of mainly CTO Thematic stamps from a range of countries in 8 quality stockbooks. Also Stanley Gibbons History of the Olympics mint stamp collection in special album, off paper mixture in shoebox, Morley Bright watermark detector and small range of miscellaneous items. Large carton containing various partly filled albums with stamps from a range of countries, on and off paper mixture, bundle of commercial covers and small selection of Phonecards. Main strength in Australia including handy range of Pre-Decimal FDC's. Collection of stamps in Senf's (Schaubek) illustrated Postage Stamp album volumes I and II and Stanley Gibbons Ideal album for stamps issued from 1840 to 1911. Sparcely filled, but includes hundreds of stamps from a range of countries spread throughout the albums. Collection of thousands of mostly used stamps from a wide range of countries in 104 large Chinese stockbooks, Globe album and off paper mixture in shoebox. Most stockbooks are only partly full and due to storage in the Northern Territory have some toning. Collection of many hundreds of mostly MUH stamps featuring Cars from a wide range of countries, plus small collection of stamps featuring Captain Cook on 202 Hagner sheets in 5 albums. Main strength in 1990's including numerous sets, miniature sheets and some covers. Wine carton containing collection of stamps and FDC's in albums, stockbooks and small boxes including collection in old Triumph album, a quantity of Australian and Papua New Guinea First Day Covers and stamps on and off paper. Accumulation of many hundreds of mostly used stamps from a range of countries including some thematic type issues in 7 large stockbooks. Also small range of coins and a few banknotes. 1984 Olympic Games complete collection of 42 gold "stamps" in special album, issued by Bernera Islands, Scotland. High cost price. Collection of many hundreds of mostly used stamps from a range of countries and periods in 5 albums with main strength in Eastern European countries including numerous FU or CTO Thematic type stamps, plus USA commemorative collection from 1940 to 1970 in White Ace album. Also small range of drink coasters. Carton containing range of mint and used stamps in various albums and boxes including handy items. Noted China, Hong Kong, thematics, small selection of cigarette cards and more. Colllection of thousands of stamps in 7 large stockbooks with main strength in mint and used Polish stamps and miniature sheets. High catalogue value. Collection of stamps in 2 albums, a shoebox of foreign stamps off paper, a shoebox of Australian stamps off paper and a selection of other miscellaneous items including some handy items. Collection of mint and used stamps in 6 albums, boxes and tin from a range of countries in carton. Noted Australian MUH Decimal (FV$265.00), plus a small range of FDC's, Great Britain MUH Decimal commemoratives (FV$102.00) and USA 1981 Birds sheet of 50 MUH (2). Accumulation of thousands of stamps from a range of countries and periods in 14 albums or stockbooks, plus bundle of postcards in cigarbox. Collection of thousands of mostly used stamps from a wide range of countries and periods in 7 loose leaf albums. 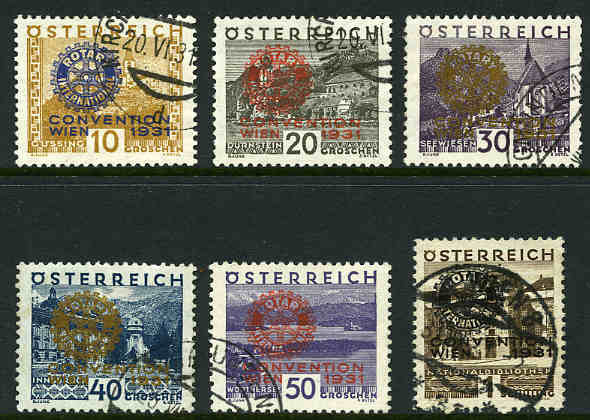 Collection of used stamps from a range of periods with main strength in Belguim, Great Britain and Switzerland in 2 large and 6 small stockbooks, plus off paper accummulation in shoebox. Accumulation of thousands of stamps from a range of countries and periods in 7 albums or stockbooks and off paper in shoebox, plus small range of covers. Accumulation of 9 pounds of on paper mixture in small carton. No Australian. 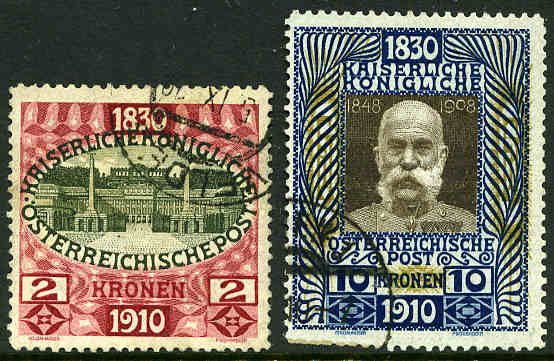 Accumulation of thousands of stamps from a range of countries in 19 large and small stockbooks. 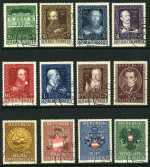 Collection of many hundreds of mostly used stamps from a range of countries in 9 albums or stockbooks including some commercial and First Day Covers. Extensive collection of approximately 7,000 MUH, MLH and fine used stamps featuring Animals from a range of countries and periods on 450 Hagner sheets and some album pages in 9 albums. Includes numerous sets, miniature sheets, handy issues and range of Cinderella items. Some duplication. Catalogue Value approximately $4,300.00. 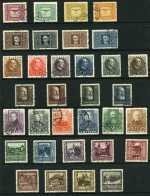 Collection of thousands of mint and used stamps from a wide range of countries in 2 very large Harris Citation Albums. Accumulation of mint and used stamps from a wide range of countries and various periods from early to 1960's including many better and highly catalogued items, plus some covers stored on a quantity of 30+ year old circuit sheets in 3 shoeboxes. Well worth inspecting. Collection of thousands of used stamps from a range of countries and periods on 396 Hagner sheets in 9 albums, plus off paper mixture in shoebox. Mostly size 6 and 7 single sided Hagner sheets. Considerable duplication. Collection of many hundreds of mostly used stamps from a wide range of countries and periods in 2 loose leaf albums, old Improved Stamp album and 2 small exercise books including handy items, plus off paper accumulation in 2 shoeboxes, bundle of covers and on paper mixture in shoebox. Collection of many hundreds of mint and used stamps from a range of periods including handy and highly catalogued items in 2 loose leaf albums. Also 1980 Olympic collection of 73 stamps and 6 M/S in special limited edition album. Stamps have been stuck in on the edge. Cost price $224.00. Carton containing accumulation of many thousands of used stamps off paper from a wide range of countries in packets in 5 shoeboxes and small box, plus 25 Seven Seas Presentation Collections.